Lifeguard Press has done it again, they have won me over with another round of Kate Spade trinkets and agendas that have me oohing and aching at the whimsical flair behind the pretty packaging! I know your jaw is probably on the floor at me, the queen of Lilly Pulitzer agendas, mentioning using the Kate Spade agenda. My tendency to be completely indecisive has caused me to decide (that's rare) that it is practical to have not one, but two agendas! I will be using my Kate Spade Bella Bookshelf agenda for blogging and my trusty Lilly Pulitzer agenda for school work. What made the decision so far besides the cuteness and practicality offered of both is that they are both made by Lifeguard Press so ones quality did not outshine the other! For my Kate Spade agenda I chose the large Bella Bookshelf Print agenda because of how accurate it looked to serve as an idea journal and the mothership of all my blog planning! I couldn't turn down the colorful cover of this 17 month agenda! The pages inside are just as pretty as the outside although a bit more calm then what you find in your Lilly Pulitzer agendas! At the beginning of each month is a quote, a calendar overview, and then of course the weekly planning pages! I know this agenda will quickly become my source for everything social media and will keep me on my blogging game when things seem hectic! If you are interested in a bit more professional agenda then definitely look at all of the Kate Spade agenda options as well as the accessories that match them perfectly! I love these agendas so much! Looks like lots of fun stuff! I love that you're getting two agendas! I tried the kate spade agenda last year but found that I prefer Lilly! 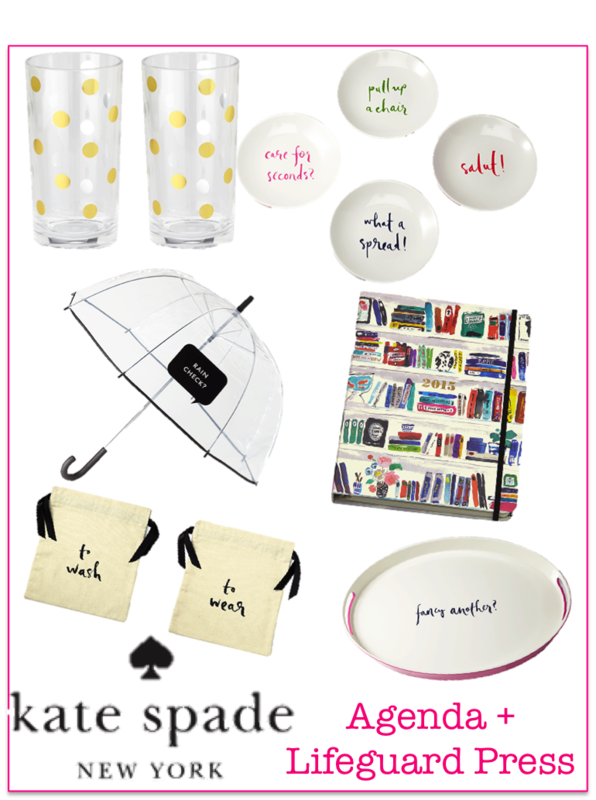 I love kate spade agendas, they are so classy and help me stay super organized! I love how classy the Kate Spade agendas look! I'd love to see what the weekly pages look like! I have had the same planner dilemma! What a great idea that you will get use of both! I was torn between the two too! I ended up getting a jumbo Lilly when I realized the Kate Spade didn't have all around spiral bounding (Like you couldn't show just one side) - but who knows maybe next year I will have to mix it up again. I'm a huge fan and I would love it if you would check out my blog! Do you know if I can order it from somewhere with worldwide shipping?